Happy Saturday. 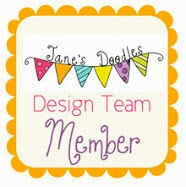 I have a cute Jane’s Doodles card to share with you that I had a lot of fun making. 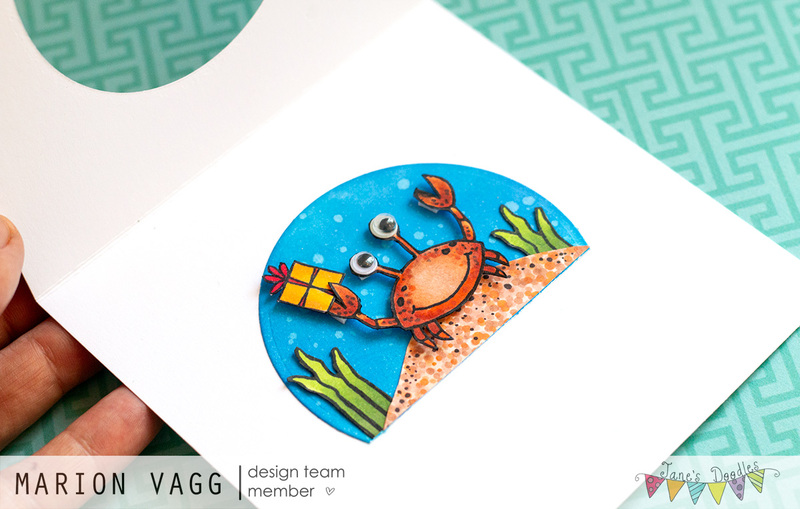 Jane has some adorable stamp sets and it was really fun mixing some of these together. 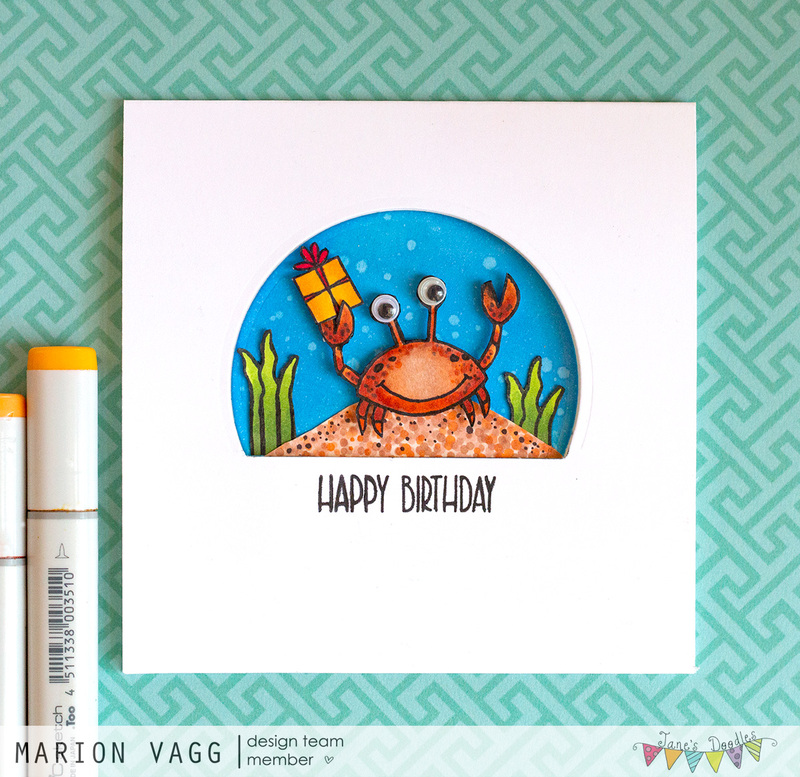 The crab is from the Under the Sea set and sentiment is from a set called Belated Birthday (I did a little stamp surgery here). The present is from a Christmas set called Driving Home for Christmas. I started with a die cut circle which I blended with a mixture of Salty Ocean and Blueprint Sketch distress oxide inks. I splattered on some water to create the bubbles. The images were stamped and coloured with Copics and then fussy cut them out. The sand hill is hand cut. This card is a little different as the focal image is on the inside of the card…and can be seen through the window. Thanks for stopping by. I’m off to watch the Royal wedding. Happy Tuesday! 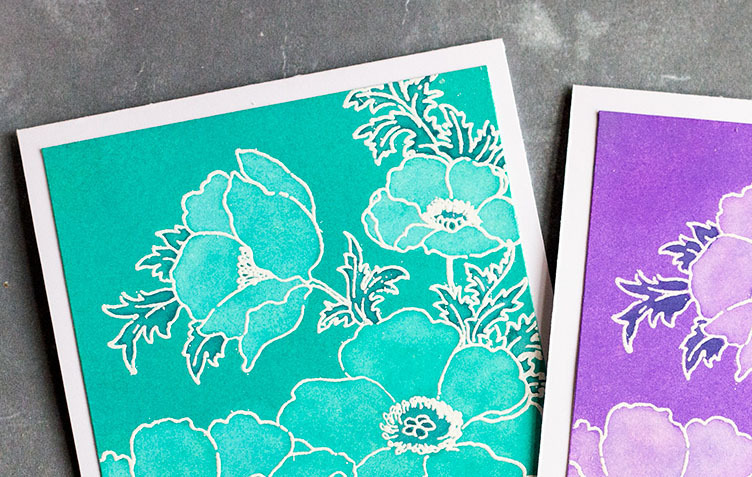 Today I have two cards over on the Simplicity at its Best blog. Below is a little sneaky peeky for you. Head over to the Simplicity blog for instructions on how I made it.